Home > Are life insurance premiums tax deductible? Life insurance premiums are the payments you make on a life insurance policy to continue the policy in force, in anticipation of a death benefit being paid. Life insurance premiums vary in amount according to the age and health of the insured, the face amount of the policy, and whether the policy is whole life or term insurance. Insurance policy premiums can be expensive, depending on these factors, and many people would like to deduct this expense from their income tax. However, there is a problem with deducting life insurance premiums as expenses on your taxes. Because the death benefits of a policy are not taxable in most situations, the premiums are considered a personal expense and are not deductible for income tax purposes. There are exceptions to this general rule. 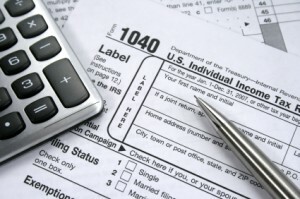 Personal expenses are not tax deductible, but business expenses are. If a business purchases the life insurance and is not the beneficiary of the policy payout, the premiums are tax deductible as a business expense. However, if the business is the beneficiary, such as in corporate-owned life insurance (COLI) or bank-owned life insurance (BOLI), the tax consequences may be different. Generally speaking, a business can deduct its life insurance premiums if they are paid on behalf of, and for the benefit of, someone other than the business. The business can also deduct life and other insurance premiums if certain conditions are met which show that the premiums were paid for the general benefit of the business or corporation, and not for the benefit of an individual, such as the owner. Another exception to the tax deduction rule for businesses is group insurance policies provided as a benefit of employment. Many companies offer inexpensive term or whole-life insurance options as part of the total employee benefit package. Employees may pay for insurance policies with a value of up to $50,000 with pre-tax dollars. This means that the income used to pay the premiums is deducted from an employee’s pay prior to figuring taxes on the income. This gives the employee the benefit of buying cheaper life insurance without paying tax on the income used to buy the insurance. Any insurance amounts over $50,000 are paid for with after-tax dollars, meaning the employee pays for that portion of the insurance with money that has already been assessed for income tax. There are both advantages and disadvantages to paying insurance premiums without being able to deduct them from your income taxes. The first and most important advantage is that death benefits are generally not taxable unless the owner of the policy is also the insured. If, for example, a wife owns a policy on her husband, she will not have to pay inheritance taxes or income taxes on the death benefit if her husband dies. Another important advantage is that if you are able to borrow from your policy, you will not be taxed on the cash value as long as the policy is in effect. Because of this, many whole-life policies not only ensure the value of a person’s life with a face amount death benefit, but also provide an emergency fund for tax-free borrowing. One of the disadvantages of this system is that your life insurance premiums, no matter how expensive, cannot be counted against your income for tax purposes. No matter how much you pay each month for life insurance, income tax is still assessed on the income with which you pay the premiums. Another disadvantage is that cash value accruals for a life insurance policy will not give you the same tax advantages as an individual retirement account (IRA), which allows tax-deductible deposits. In fact, for retirement purposes, there are many other options which are far more tax-friendly than life insurance. However, life insurance will provide a good source of instant cash if you die suddenly, or from which you can borrow in emergencies. While it would be beneficial to be able to deduct life insurance premiums from your income tax, the final advantages in terms of tax consequences far outweigh the disadvantages. Keeping your insurance benefits free of inheritance and income taxes will ultimately save you far more money than deductions on your life insurance premiums. Any questions about the tax deductions allowed for insurance premiums should always be addressed to a knowledgeable professional familiar with the complex tax code which governs these rules. Businesses are especially liable to misinterpret the tax code with regard to allowable insurance premium deductions, so it is wise to consult a professional before deducting these premiums as a business expense.